Few glasses of wine can help the brain to clear toxins, Alzheimer’s disease and tamp down inflammation; a study suggests that published in the journal Scientific Reports. But too much alcohol consumption is a responsible for various health hazard, many studies have linked lower levels of drinking with a reduced risk of cancers and cardiovascular diseases. Nedergaard’s research focuses on the glymphatic system, researchers described how cerebral spinal fluid (CSF) is pumped into brain tissue and removes waste. The waste includes the proteins tau and beta-amyloid, which are related to Alzheimer’s disease and other forms of dementia. Subsequent research has shown that the glymphatic system is more active while we sleep, can be damaged by stroke and trauma, and improves with exercise. The new study, which was conducted in mice, looked at the impact of both acute and chronic alcohol exposure. Animals that were exposed to low levels of alcohol consumption actually showed less inflammation in the brain and their glymphatic system was more efficient in moving CSF through the brain and removing waste, compared to control mice who were not exposed to alcohol. “Studies have shown that low-to-moderate alcohol intake is associated with a lesser risk of dementia, while heavy drinking for many years confers an increased risk of cognitive decline,” Nedergaard said. “This study may help explain why this occurs. 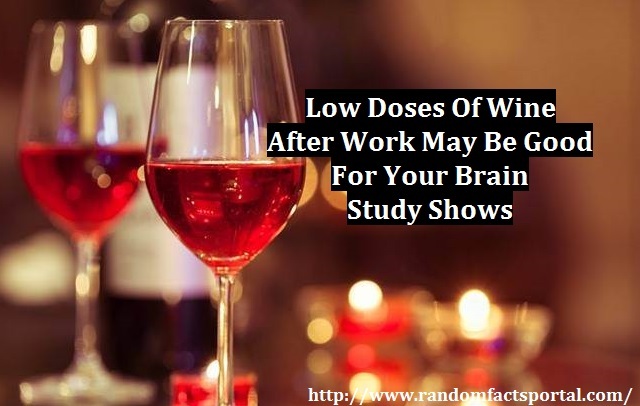 Specifically, low doses of alcohol appear to improve overall brain health,” Nedergaard added.